Technology is an essential part of human progress. Whether it be sticks, stones or smart phones, tech has allowed us to excel in our environments. 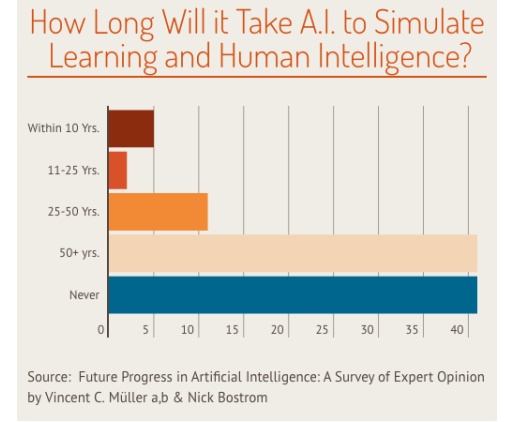 With tech becoming more ubiquitous and classrooms being digitized, the pros and cons of artificial intelligence have been the focus of many heated debates between education and tech experts. After all, computers are getting smarter, and artificial intelligence is more science-fact than science-fiction. Educators could soon find themselves at the head of a digital classroom with AI at its heart. What could possibly go wrong? 1. Personalized Learning: Much attention is usually given to what students learn, with a historical tendency to focus on curriculum. However, how a student learns is just as important. Advances in AI are giving teachers a better understanding of how their students learn and allowing them to customize the curriculum accordingly. 2. ITS (Intelligent Tutoring Systems): ITS aren’t some far-off vison of the future—they already exist in a practical capacity. While far from the norm, they are capable of functioning without a teacher having to be present and can effectively challenge and support the learner using different algorithms. 3. Adaptive Group Formation: By analyzing learner information, AI can generate groups particularly suited to a certain task, or groups that balance one learner’s weaknesses with another learner’s strengths. 5. Intelligent Moderation: Intelligent Moderation allows human tutors, moderators and teachers to analyze the data produced by large groups with the assistance of AI techniques like machine learning. In turn, educators can be more efficient in the classroom. 6. Virtual Reality Learning: Taking a page from aviation education, VR-assisted learning allows for educational support in authentic environments and extends the boundaries of the classroom. Realistic immersion in virtual environments can provide learners with a richer understanding of the material. This will also act as a stepping stone to real-world experiences, with fully integrated AIs, humans will employ machines for space and ocean exploration, fraud detection, knowledge management, job training and precision surgeries. 7. Essay Grading Software: Software that can instantly grade student essays is a significant benefit. Every graded essay adds to a central database to which future essays are compared. 8. Real-time Problem Solving Assessment: This reduces the load on teachers by providing simultaneous instruction in a classroom setting. 9. Improving Course Quality: AI can analyze patterns in which a large number of students submit wrong answers to the same questions. By alerting the educator to these patterns, AI can help make teachers more effective. 10. Dynamic Scheduling and Predictive Analysis By using predictive computing, AI can learn students’ habits and propose the most efficient study schedule for them. This is a benefit for the customer service agent, medical intern, or anyone who does a repetitive or labrious tasks; a machine won’t get bored, tired or need a break and should the machine encounter a problem or question out of its programming a human will be contacted to step in. 11. Custom Textbooks: Educators will be able to import a syllabus and AI will generate a textbook filled with the core content (CTI). This makes for an incredible amount of customization, not only from class to class or grade to grade, but within the school year itself. 12. Virtual Humans: While seemingly something out of science fiction, virtual humans are already a reality. Intelligent interfaces like “the twins” at the Boston Museum of Science, for example, provide a much-needed social dynamic to artificial intelligence. Virtual humans like avatars, digital assistants or Chatbots are cost efficient and can work 24 hours, seven days a week in those repetitive and time-consuming tasks no human enjoys doing. 13. Intelligent Game Based Learning Environments: Using gamification to motivate learners can help improve retention while making the learning experience fun. 14. Machine Translation: While today’s translation apps are not as accurate as human translation, machine translation can be faster and more efficient. Machine translation has the potential to bridge the language gap for many second language students. 15. Empowering the Disabled (Differently-Abled): AI programs that augment the educational experience for the disabled are already in development by companies like Facebook. These advancements can grant learners with special needs a greater sense of autonomy. As groundbreaking as AI in the classroom can be, it is not without a few drawbacks. 1. Cost: When combining the cost of installation, maintenance and repair, it’s clear that AI is expensive. Only the most well-funded schools will find themselves in a position to benefit from AI. 2. Addiction: As we rely on machines to make everyday tasks more efficient, we risk technology addiction. 3. Lack of Personal Connections: While smart machines improve the education experience, they should not be considered a substitute for personal interaction. Relying too much on these machines to grade or tutor may lead to educational oversights that hurt learners more than help. 4. Unemployment: Making teaching more efficient could create less of a demand for educators. With the advent of MOOCs, class size is no longer as much of a determining factor in quality education, and even at the K-12 level, the implementation of AI may mean a decrease in teaching aids and assistants. 5. Efficient Decision Making: Computers are getting smarter everyday. They are demonstrating not only an ability to learn, but to teach other computers. However, it is debatable whether they can implement intuition-based decision making in new situations, which often arises in the classroom. 6. Loss of information: When the inevitable occurs and an AI needs repairs, how much information will be lost? When it comes to the pros and cons of artificial intelligence, there are clearly more benefits. However, in order to fully gain from AI, a balance must be struck between the machines that optimize tasks and the people that use the machines. The aim of artificial intelligence in the classroom shouldn’t be to replace educators. It should make their jobs easier.